Our understanding of the fundamental processes of the natural world is based to a large extent on partial differential equations (PDEs). 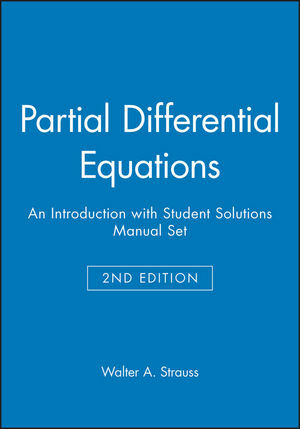 The second edition of Partial Differential Equations provides an introduction to the basic properties of PDEs and the ideas and techniques that have proven useful in analyzing them. 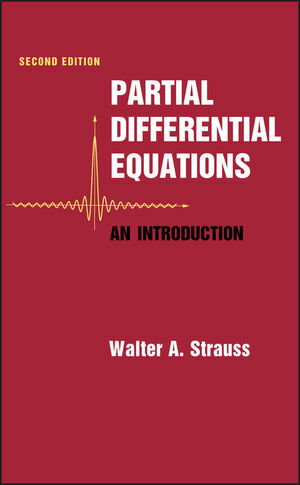 It provides the student a broad perspective on the subject, illustrates the incredibly rich variety of phenomena encompassed by it, and imparts a working knowledge of the most important techniques of analysis of the solutions of the equations. In this book mathematical jargon is minimized. Our focus is on the three most classical PDEs: the wave, heat and Laplace equations. Advanced concepts are introduced frequently but with the least possible technicalities. The book is flexibly designed for juniors, seniors or beginning graduate students in science, engineering or mathematics. Dr. Walter A. Strauss is a professor of mathematics at Brown University. He has published numerous journal articles and papers. Not only is he is a member of the Division of Applied Mathematics and the Lefschetz Center for Dynamical Systems, but he is currently serving as the Editor in Chief of the SIAM Journal on Mathematical Analysis. Dr. Strauss' research interests include Partial Differential Equations, Mathematical Physics, Stability Theory, Solitary Waves, Kinetic Theory of Plasmas, Scattering Theory, Water Waves, Dispersive Waves. Very few typographical errors- For this Second Edition, the few errors have been corrected. This is especially important for the beginning student. Numerous exercises, some easy, some difficult.